If Havana is your destination, why not make it a vacation to remember and incorporate some of the most beautiful sights into your trip? 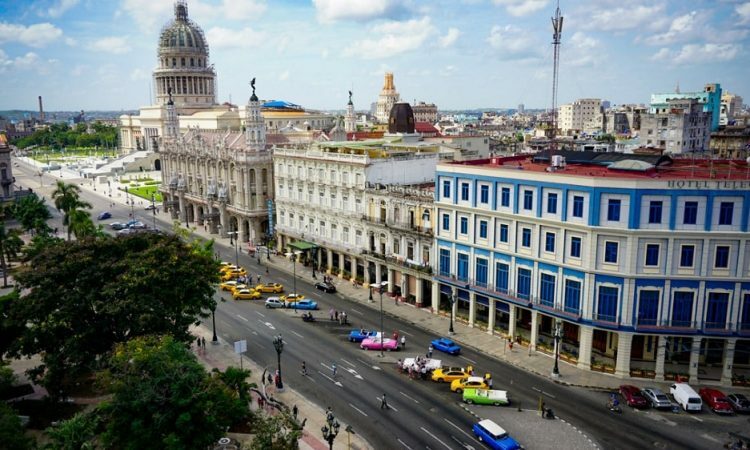 The Capital city of Cuba, Havana is famed for its remarkable architecture in its various buildings, with many of them recognizable iconic landmarks. With a touch of vibrancy and creative flair mixed with Spanish colonial in all its infrastructure, these are just a small selection of some of the most sought-after locations this capital has to offer. Perhaps one of the more renowned sights in the city, this fortress was initially built with the purpose of guarding the city, with work completed on it in 1577. Considered as one of America’s oldest of defense structures, it has all the hallmarks of a Spanish build from the medieval era, alongside a renaissance ground plan. An imposing structure, Castillo de la Real Fuerza has large thick walls, a drawbridge and a moat which surrounds it, complete with replica cannons and mortars. Once inside, visitors can access some of the finest collections of models alongside treasure from sunken ships, all located in its impressive museum. For a more eclectic choice of building, this visually stunning theater is a must-see. Beginning life in 1838, there is so much to observe and take in both on the outside and inside of the Gran Teatro de la Habana. From the outside sculptures and marble and bronze workings to the grandeur of days gone by inside the theater itself, this is a breath-taking place to tour. To make the most of this theater and experience it in all its splendor, visitors are recommended to attend one of its many events which are held regularly through the year, including that of the magnificent Cuban National Ballet. For a real taste of Havana, why not check out the glorious sights and sounds of the city by visiting this open place square? This is one of the primary cobbled centers of the city and gives all visitors a real insight into life both back in the days it was founded, 1741, to current present-day times. Plaza de Armas is among must-see places included in every Havana walking tour. Here you can see a beautiful array of classical meets traditional, meets modern, as statues remain of Cuba’s figures in the wars for independence alongside royal palm trees and market stalls. Additionally, one side of the street of this Plaza has the remains of deteriorated wood underfoot, signaling a time when the Governor of the city would require passing carriages to tread peacefully as he slept! If it is more of an outdoor sightseeing adventure you prefer, these breathtakingly stunning grounds are perhaps one of the calmer ways to experience a peaceful walking tour. Why not access a knowledgeable guide here and stroll at your own pace through this vast park, which covers a more than 150,000 species of unique trees and bushes? With selections from across the globe, this is a more tranquil place to visit, which could take you a whole day to see it all at its finest. With spectacular lily pad ponds, intricate little areas to sit and relax with refreshments and varying bamboos, cacti and tranquil gardens to reflect in, this is the perfect way to take in such sights at a leisurely pace. Whichever sights you choose to visit on your travels, be sure to make the most of the expertise and knowledge of a Havana tour operator who can offer you so much more insight on the local area, thus ensuring you experience this astounding capital city in all its glory.